Rouge In Love, Vernis In Love... Today, the In Love universe is enriched with a brand new generation of gloss. A genius of shine and comfort housed in a case that opens with a click: Gloss In Love. Fuchsia, pink and orange: the shades combine together to form countless glistening looks. Enjoy total freedom to experiment with the most daring of combinations for infinite variations, teaming up the gloss with the new Rouge In Love and Vernis In Love shades. 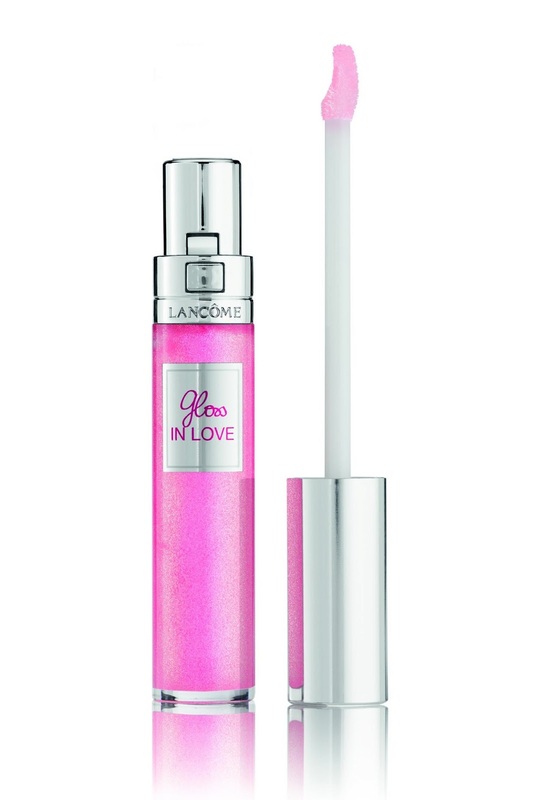 Lancôme thus creates the most mouthwatering made-to-measure “In Love” make-up imaginable, perfect to play with and to highlight the colourful spontaneity of your personality. Discover it this summer; you'll be hooked all year round. Infused with intense pigments and light-trapping mother of pearl, this is the dream gloss of every woman who simply wants it all. Dazzling lips, swathed in a marvellous cocoon effect, all in a case that opens with a click, featuring a super-smart applicator… The must-have accessory for every woman on the-go. Feeling every bit as delightful on lips as it looks, its ultra-comfort texture moisturises lips for 6 hours. Simply brilliant! Pink Carat, Flash’n’Fuchsia, Under the Spotlight, Glittermania… Forever sparkling light is the order of the day. From the softest of shades to pure pop tones, Gloss In Love is created in a palette of vibrant pinks, oranges and fuchsias to play with to your heart’s content! Not forgetting Just Strass, an ultra-iridescent flashy white to layer on or to use as an undercoat, transform any shade of lipstick and gloss… Spring 2013’s absolute must-have! 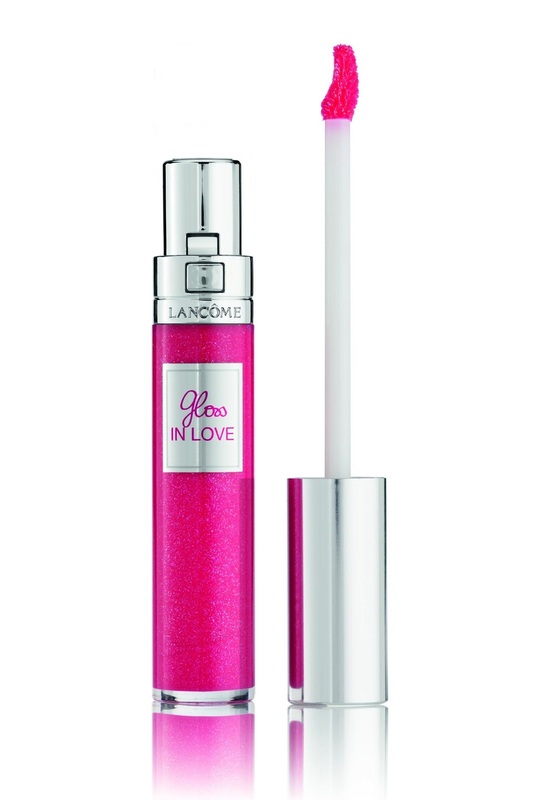 Combining shine, even colour and comfort: Gloss In Love achieves this seemingly impossible feat. Its secret: at the heart of a magnifying glass-effect crystalline base, the breakthrough association of two polymers – one glossy, one flexible – to form a supple, shiny three-dimensional network on lips’ surface. Pigments and mother-of-pearl to shine through to their fullest potential, allowing for radiant colour with this new-generation absolute-comfort and non-sticky texture, able to moisturise lips for 6 hours. Gloss In Love exudes a subtle scent of mouth-watering vanilla, lifted by a fresh fruit cocktail. Addictive! A precise and simple application: Lancôme creates its first ever double-sided applicator. In a single step, made up of two strokes, it defines lips without flattening them or detracting from their natural shape. 1. The lower lip side: its curved side hugs the lower lip’s surface, applying the texture with perfect uniformity so as to amplify shape and shine. 2. The upper lip side: simply turn the applicator around to discover a high-precision tip to enhance the upper lip contour with all the dexterity of a make-up artist. Unprecedented! 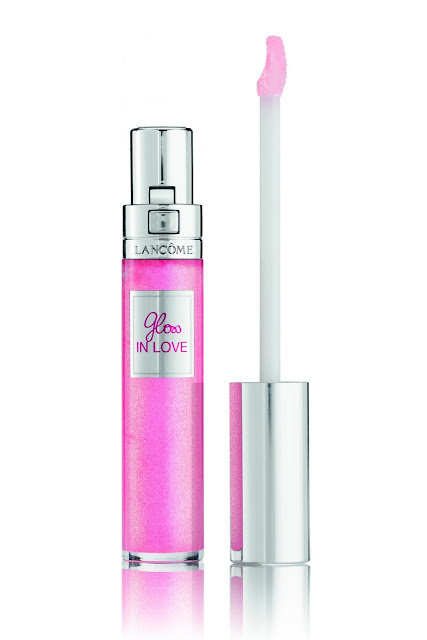 Imprinted with the words Gloss In Love its crystal bottle reveals the formula within, pure colour and mother-of-pearl. Then comes the click… Just press down and the cap is gently released, making it even easier to use. A signature sound infused with addictive chic. Including Fall In Rose, a petal-pink with the power to freshen every complexion, already emerging as a cult shade. Lastly, Rouge In Love offers an incredible range of 33 colours: an almost infinite reservoir of possibilities so you can live in glorious technicolor at all times! Also ultra-highly pigmented and as daring as ever, Vernis In Love has quickly seduced ”nail look” fans. 4 new and ultra-desirable shades form true energy concentrates, enriching the existing, irresistibly mouth-watering palette. Either coordinate with Gloss in Love or create daring contrasts (Violette Paillette gloss with Rose Bonheur varnish, Scarlett Starlette with Lovered, Pink Pampille with Peach Appeal or why not Under The Spotlight with Very In Love?). Colour-coveting fashionistas can also use a different shade on each finger, varying the order at whim. The Japanese manicure by Lancôme. Lancôme creates the most electrifying mix & match colours. Three products, a multitude of shades in harmonies of fuchsia, orange and pink, for infinite combinations… Anything is possible, simply follow your desire! Thanks to the perfect affinity of their formulas, there’s simply no limit to the ways you can superimpose Rouge In Love and Gloss In Love. Associating their textures seems to create a magnifying glass effect which amplifies the expression of their pigments. Vernis In Love takes on the challenge of creating the most daring manicure imaginable. 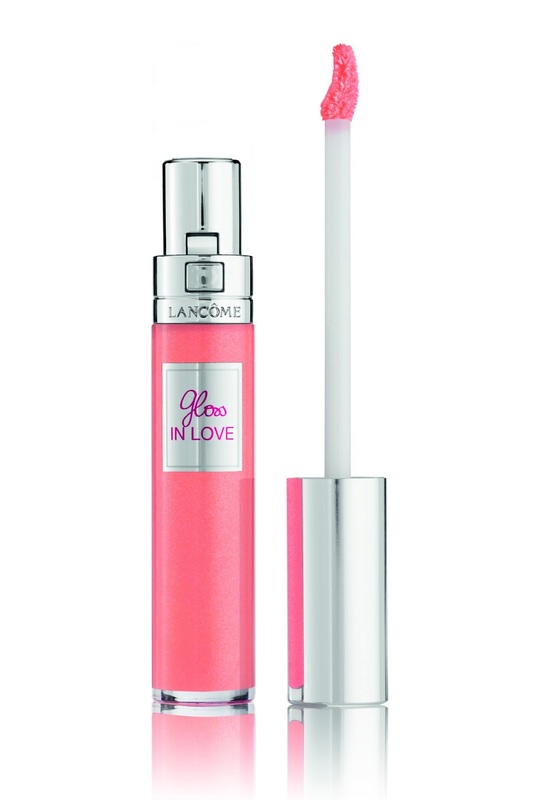 Apply Gloss In Love alone using the applicator tip to perfectly define the lip contour. Then kiss the Rouge In Love stick, placing it against the centre of your lips. Accentuate contrast effects by selecting a lighter shade for the central part of the lips: the lively pink of Flash n’ Fuchsia gloss collides beautifully with the fiery orange of Doux Farniente lipstick. Play around with the most daring of duos for a voluptuously plumped pout. Even the most delicate flowers assert their originality by pairing very pale tones with very dense pigments. Select two contrasting lipstick and gloss shades to recreate this surprising effect. Apply a light veil of a gloss such as Blink Pink then define the entire lip contour with the intense red of Under The Rose with a brush. Simply press your lips together to melt the two colours: a guaranteed petal effect! Dress lips in softness with an initial layer of Rouge In Love before applying gloss to the centre, accentuating the cupid’s bow. Fall In Rose enhances lips’ intensity and goes beautifully with Under The Spotlight gloss. This heart of gloss at the centre of lips is sure to grab the spotlight! 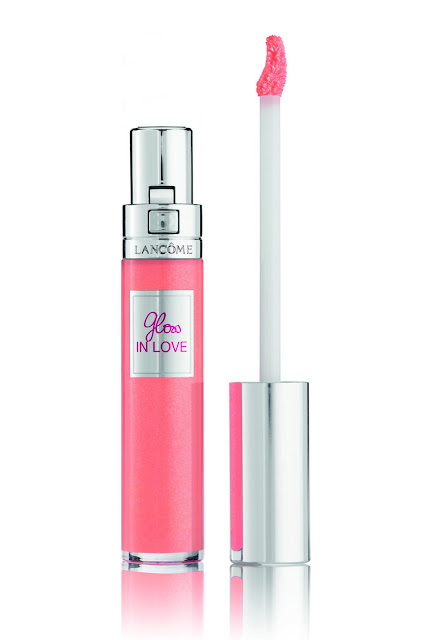 Choose two fairly close shades of Gloss In Love and Rouge In Love. For peachy-toned lips, first suffuse lips with shine using Peach Show gloss, then enhance the lip border by applying Rose’mantic lipstick with a brush. When you press lips together, the two textures blend to create an all-new orange shade that’s deep, lacquered and simply mouth-watering. Communication. Emma Watson, more In Love than ever. In Love ambassadress from day one, Emma Watson is again in front of Mario Testino’s lens. Lips dressed in Gloss In Love Under the Spotlight, combined with Rouge In Love Rose me, Rose me Not!, nails pretty as a picture in Vernis In Love Very In Love: the vision of a new glamour by Lancôme!